This emergency can occur if pets are left in confined spaces with little to no ventilation (such as being left in a crate in the back of a vehicle, crate next to a sunny window, or a crate in a small room with no fan or air flow, etc). This can also occur if they overexert themselves playing outside on a hot day, or from being left inside a vehicle when outside temperatures are 70 degrees or warmer. Be sure to provide plenty of water, shade, and open air flow areas when giving animals outside play time in warm weather. It may be a good idea to provide your dog with a raised heavy duty mesh type doggy bed to lounge on the outside that allows for 360-degree airflow. Always be conscious of how much time they spend out in the heat and apply common sense. Immediately remove your pet from the source of heat. Fill a bowl with cool water (NOT ice water because this is too drastic and will put the animal into shock), and dip your pet’s paws in the water. Wrap body in a cool, wet towel. Monitor breathing, pulse, and consciousness. Call the nearest vet clinic and take your pet there ASAP. 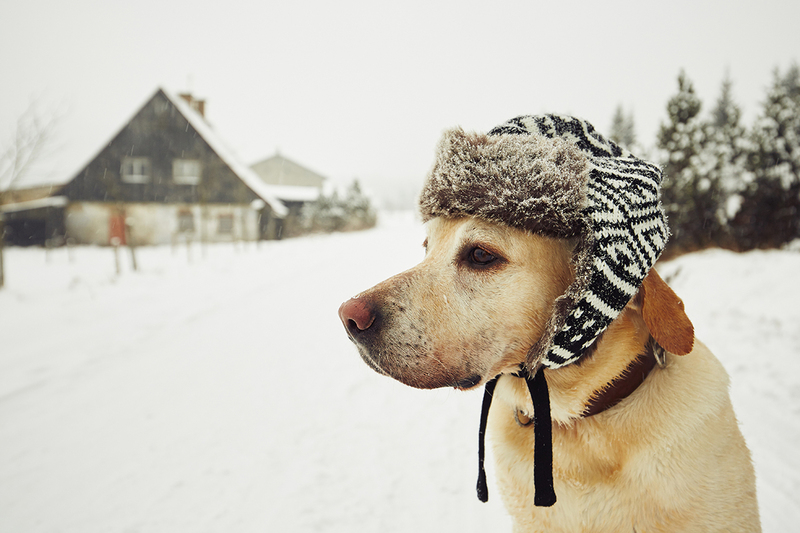 If an animal is exposed to very cold temperatures for a prolonged amount of time, especially temperatures that fall below freezing, they could be at risk for frostbite. Areas that are the most easily affected by frostbite are the extremities such as paws, ears, tails, and for males, the scrotum. Gums are bluish in color. Skin is pale and/or stiff. Skin is swollen and red. If the frostbite is severe, the skin can be black. *If your pet has frostbite so severe that the skin has turned black, they probably won’t feel any pain at the site because the nerves are damaged. This does NOT mean it is not an emergency. In fact, it means quite the opposite. Seek veterinary assistance immediately. Immediately remove your pet from the source of cold. Treat their frostbitten areas with a warm towel (do NOT use hot water as it could shock the body). Wrap your pet in a dry blanket, coat, towel, etc. Holding them against your body can help warm them up by transferring your body heat to them as well. NEVER rub their frostbitten areas because this could cause more damage and subsequently, more pain for them.